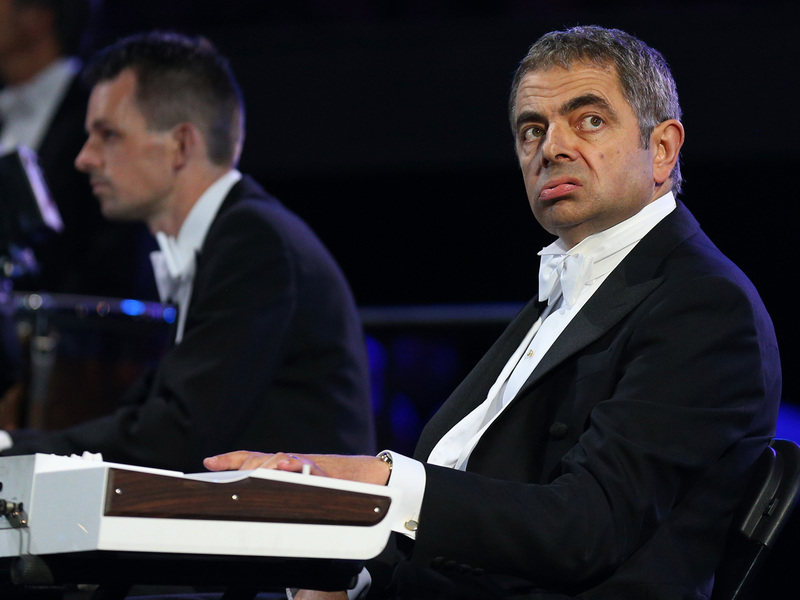 (CBS News) Rowan Atkinson reprised his role as Mr. Bean at the London 2012 Olympics opening ceremony on Friday. The comedian didn't need words to make the crowd laugh. Instead, he used various facial expressions as the band played the theme song to "Chariots of Fire," the inspiring story of a Scotsman and an Englishman at the 1924 Paris Games. Atkinson pretended to play the piano along with the orchestra, but encountered a problem when he sneezed and needed to blow his nose. The actor was one of many British performers at the ceremony. Tell us: What did you think of Atkinson's routine?